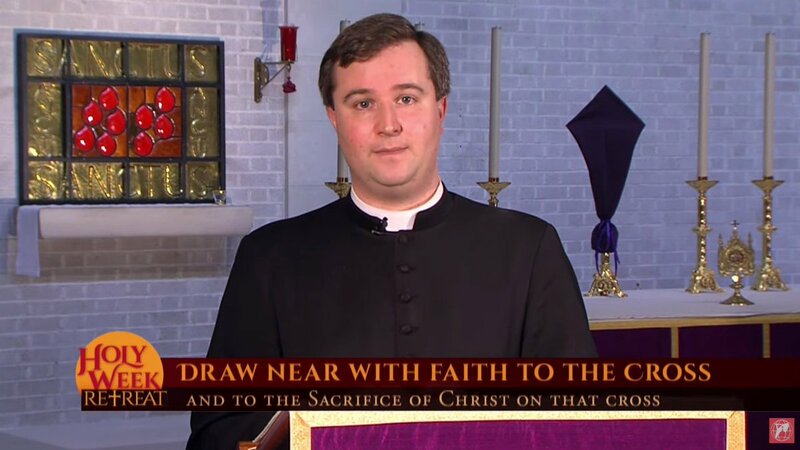 Fr Thomas presents today’s address for EWTN’s Holy Week Retreat from the Church of the Holy Family Southampton. In half term, while away with our group in Bournemouth, Fr Neil and Fr Thomas went to Southampton to record talks for Holy Week with EWTN. 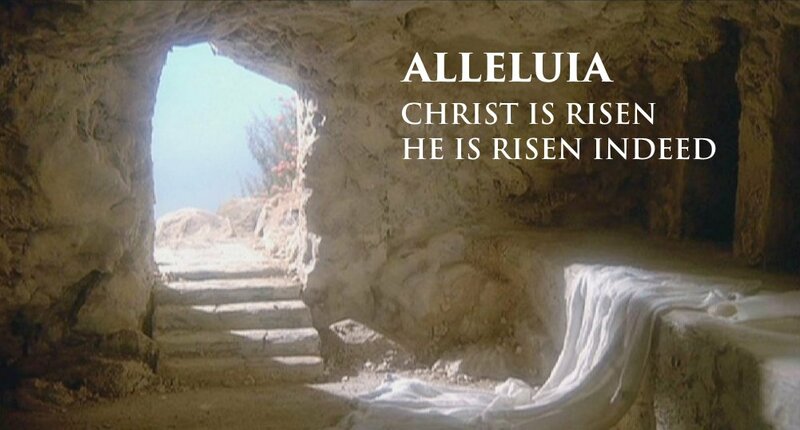 Fr Neil gives the reflection for today here. 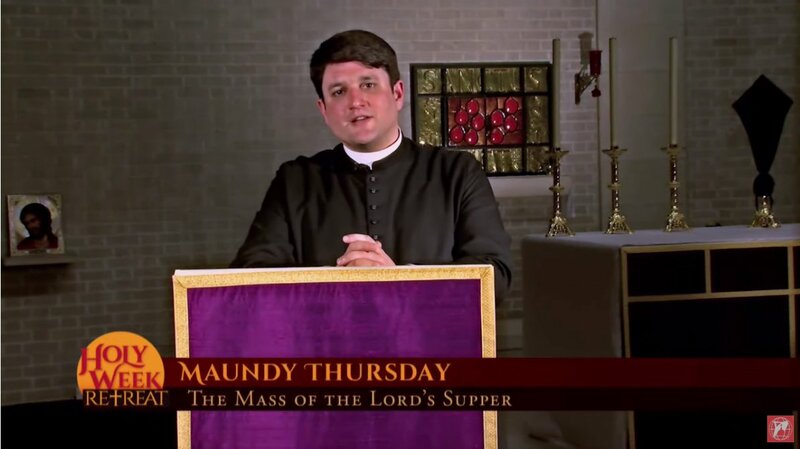 If you want to catchup with yesterday’s talk, by Fr James Bradley, which was linked on our facebook page, it is here. Deliver us! 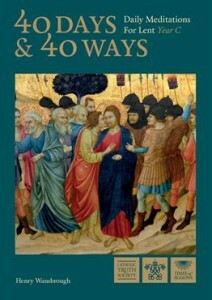 Readings for Lent 3. Jesus continues to fulfil those promises of deliverance, not from foreign powers but from sin and death. He also continues to unfold some of the mysteries of God in the gospel reading today. Do terrible things happen to people because they are cursed as terrible sinners? Are those suffering from the terrible floods in Mozambique, Malawi and Zimbabwe worse sinners than us and are being punished by God? Jesus in the gospel tells in emphatically ‘No’. Jesus however, does go onto to state that there is a sense of urgency to put ourselves right with God – that now is the time to turn around and come back to God as none of us know what tomorrow will bring. Jesus wants us to know that now is the sacred moment to experience to merciful love of the Father as we confess and repent of those things that stand in the way of our relationship with God. With the ‘Penance and Pancake’ tomorrow, Lent is well and truly upon us. There will be two options for Lent groups this year with the parish of Christ the King: one following on from the Advent course, continuing to look at the Lord’s Prayer and another one, using group materials at St Joachim. However many people also like to have their own materials for devotions. The CTS site has many options. Here are four books which may pique your interest. This booklet focuses on the Passion of Christ by looking at parts of a Crucifix. 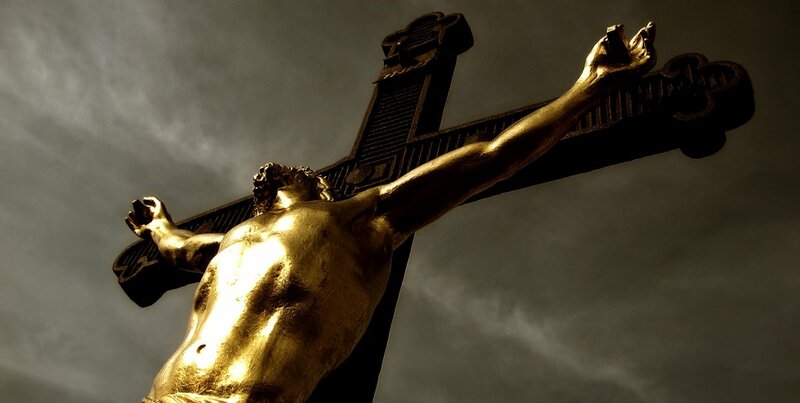 Written by Julien Chilcot-Monk who restores crucifixes, there is an interesting blog post and podcast explaining how this Lent booklet is to be used. Calvary through the eyes of Mary also focuses on the Passion, but uses a format of the Stations of the Cross. 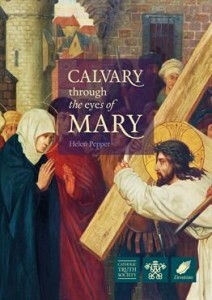 The author, Helen Pepper draws on her experience of walking the Via Delarosa in Jerusalem and her reflections on becoming a mother to meditate on Mary’s experience of walking the way of the cross with her son. By Dom Henry Wansbrough OSB, this book uses Lenten readings from the lectionary to meditate on the journey through Lent. Wansbrough draws on his extensive Biblical scholarship and there are actions linked to each meditation. 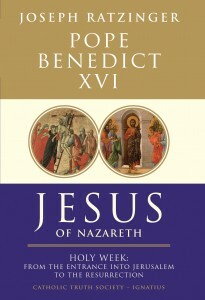 Jesus of Nazareth: Holy Week is the second in Joseph Ratzinger’s (Benedict XVI) three books, in which he seeks to investigate and encounter the real Christ. 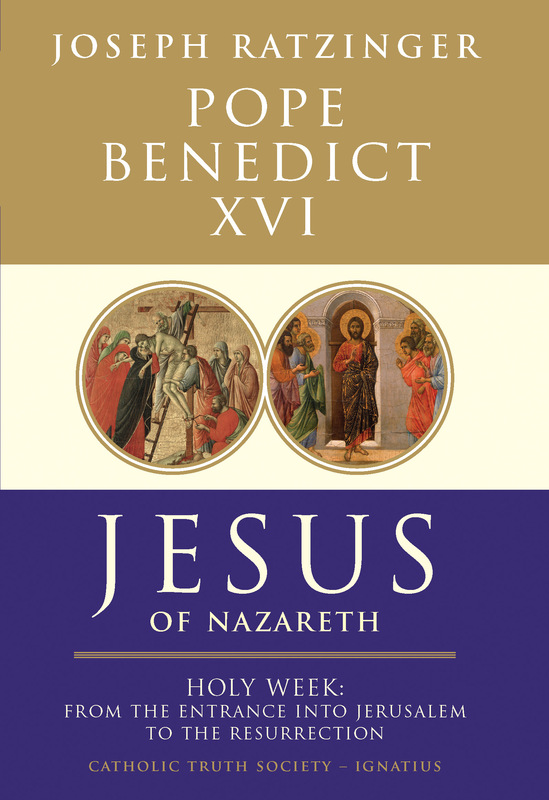 A result of his own personal devotion and his lifetime of brilliant theology, Ratzinger takes the reader through the whole of Holy Week drawing on his insights and synthesis of tradition and scholarship. 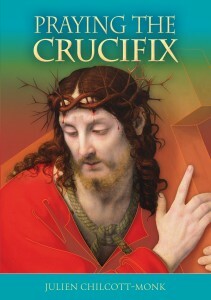 This is a profound book to take you through Lent. Whatever you choose private study, prayer and devotions deepen our walk with Christ, through the desert and on to the Passion in Jerusalem.